The Thomson Line Blog has been forced to close. For those that don’t know, there’s a blog that documents the construction of the Thomson Line. There are all kinds of hobbies and interests, this is an example of a unique one. 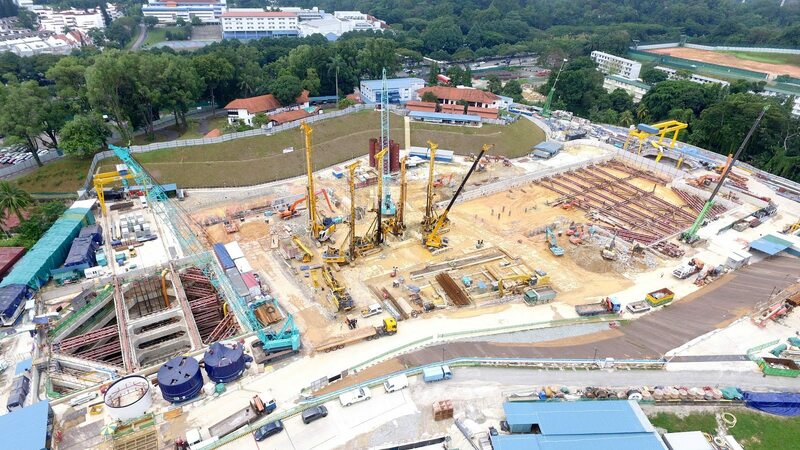 While there seems to be absolutely no harm in writing about the progress of ongoing construction, the LTA has decided against it. You can read the transgressions in what is the final post from the blog. In 2013, the blog was created as a platform for the promotion of the engineering and construction works of an underground MRT line, to be shared with the general public and the construction industry. Besides self-funding and facilitation of the blog, meticulous effort have been put into ensuring the accuracy and consistent updates of the works, with a portion of help coming from those working within the project. Since the creation of the blog, the LTA has shown an averse attitude to the idea of information sharing on a virtual stage, and displayed disinterest in any attempts of collaboration. Over the last quarter, the agency begun aggressively issuing legal threats against the sub-contractors and workers whom have supported the blog with their kind contribution of pictures – all with the good intent of sharing greater details on the construction progress. Documenting the 30km span of construction from scratch was an ambitious and by no means an easy venture made back then without any support nor credibility. Despite the setbacks, the blog has today become an authoritative portal for many stakeholders and construction teams to track the progress of the project, fulfilling the intention I had set out 2 years back. Much considerations have been made into the decision to keep the blog updates going, however it has been increasingly difficult to sustain with the obstinate attitude of the LTA. Regrettably, I have made the final decision to close the blog ahead of the completion of the line, and shall focus on my studies before subsequently carrying on with my career in the civil line. I have great appreciation to the readers who have been following me through this construction journey over the years, and will keep my contact open for those who would like to drop a message. This blog has probably given the public more information than LTA has. It’s self run and takes no money from anyone. In fact this seems like a great platform for LTA to want to be a part of. I don’t know what it means, but it’s just informative. Why so fervent about keeping the whole project under wraps? Are there secret missions that the public aren’t aware of? Are they going to surprise us with the unveiling of a line that has been in construction for so long? » More PMEs being laid off? There’s no need to fear. The last picture shows the progress of the tunnelling progress along the Thomson-East Coast Line (Thomson Line Section). I agree it is sad that the blog has to close as this is one’s hard work documenting the TEL construction progress and his passion for civil engineering. LTA should loosen up a bit.